From the Puccini Design House's latest collection of paisley floral wedding ties, this Onyx Black Paisley Designer Tie is an excellent accompaniment to ensembles for "black tie" events. 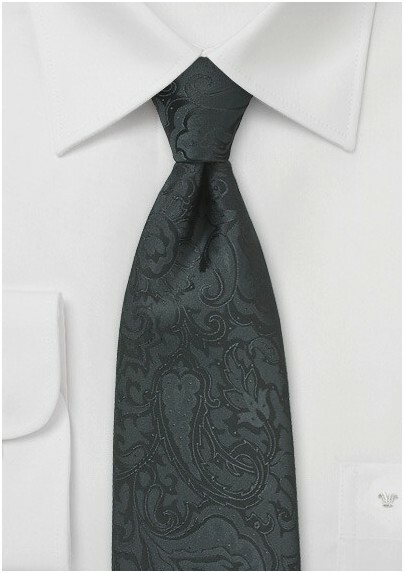 Artfully woven from microfiber, this 3.25" width tie's subtle pattern adds texture and depth. 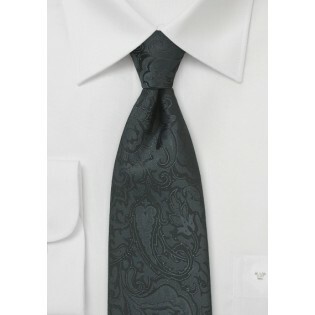 Wear it with a white dress shirt and a gray suit for an ultra-dapper look.